goXpro Plus and goXpro Elite. Personal Training. Streamlined. goXpro is mobile-first Personal Training software providing powerful insights into trainer performance and client results. The trainer’s app empowers personal trainers to challenge the standard approach of one-size-fits-all Personal Training with individualised training plans for each of their clients. Transform your Personal Training business by saving time on admin and focusing on the things that matter. goXpro delivers features that will help you better service your clients and grow your business. Designed by fitness professionals for fitness professionals. Access and manage your clients information on the go. 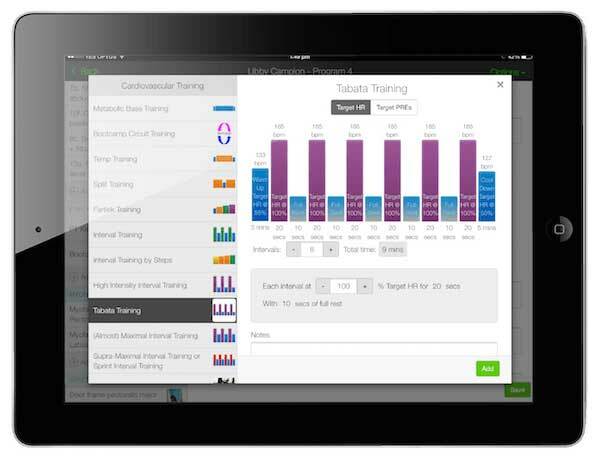 Mobilise your personal trainers with access to client databases, program history and tests on the go. Create a professional impression every time. With an organised CRM and your bookings taken care of, you can focus on selling sessions and training clients. 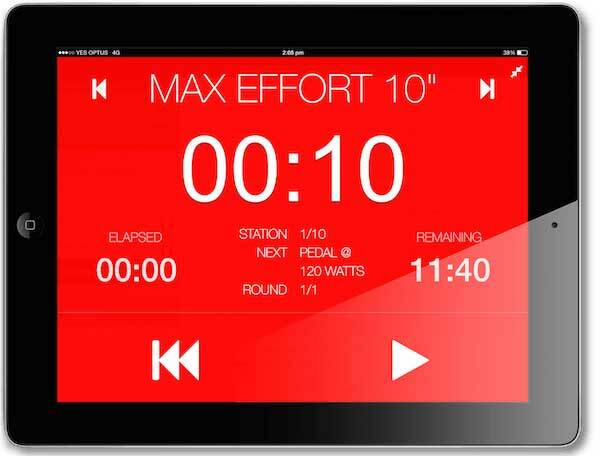 Take the trial and error out of your exercise programming with goXpro. Save time and create professional made to measure programs for your clients. Choose from a huge selection of exercise progressions (listed by muscle group, specific pathologies or sports-specific coaching) or add your own exercises. Create program templates to use with your clients or share amongst your team. Complete paperless sessions from your iPad, tablet or computer. Email training plans to clients. Exercise progressions in goXpro are based on the theory of adaption and evolution, so you can efficiently and safely progress your clients along their health and fitness journeys. Improving endurance or power endurance. goXpro templates can all be modified and adapted to your client’s health and fitness level and individual goals. Individualised targeted heart rates change automatically as you increase intensity levels in a workout. The Bootcamp timer makes life simple. At a glance you'll see the station and round number, when to change stations, the name of the next exercise, elapsed time and remaining time. Personalise it with your very own exercises to cater to all your client's heath and fitness goals. Make your administration a breeze! 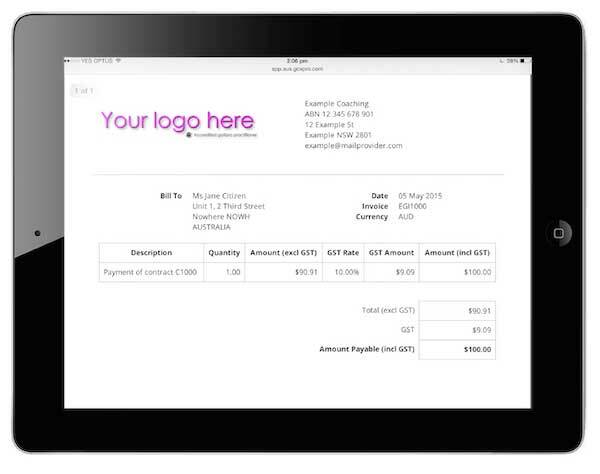 Generate client contracts and invoices at the touch of a button. Manage all your billing with ease. Personalise client contracts and invoices with your logo and payment details, then email them off to your clients for payment. Choose from beginner techniques to intermediate and advanced combinations or simply choose a freestyle boxing or kickboxing session. 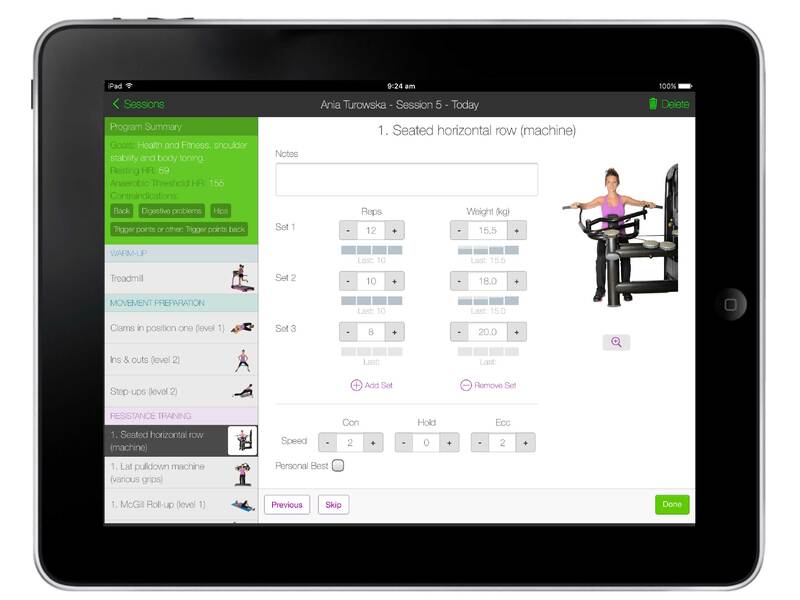 Trial this feature today and take your PT sessions to the next level with goXpro. Training special populations and injured clients. Take the stress out of training clients with contraindications to certain exercises and start designing smart muscle programs based on your client’s posture. 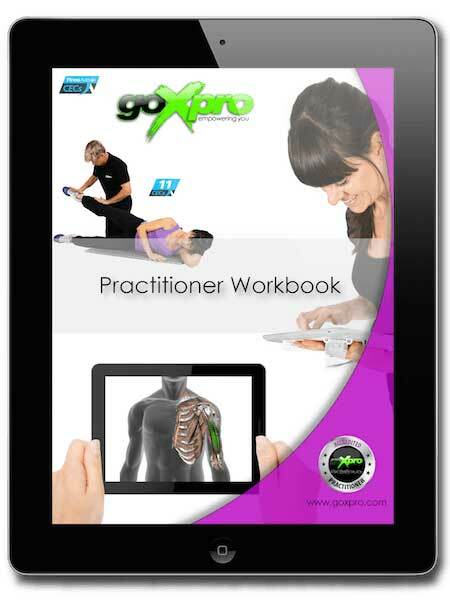 goXpro’s do’s and don’ts resource library contains guides based on proven sports science that take the trial and error out of your program design, ensuring that your clients remain injury free throughout their training. 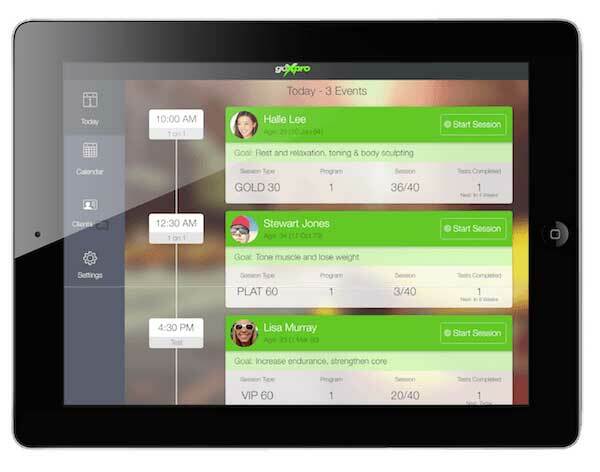 Access all your client's health and fitness results past and present on the move. Track client results like never before. Email reports directly to your client. Improve client conversion rates and retention. For greater detail, goXpro also provides individual session reports and personal best achievements. Coming soon! Graphs of specific exercises can be emailed to clients and uploaded directly to their social media pages, providing you with regular free online marketing. Grow and learn with goXpro. Along with the goXpro Course (11 CECs), goXpro also offers a selection of interactive and practical, guaranteed small group workshops to help fill your trainer toolbox. Successfully complete all of the short courses plus a final exam to become a fully qualified goXpro Master Practitioner. 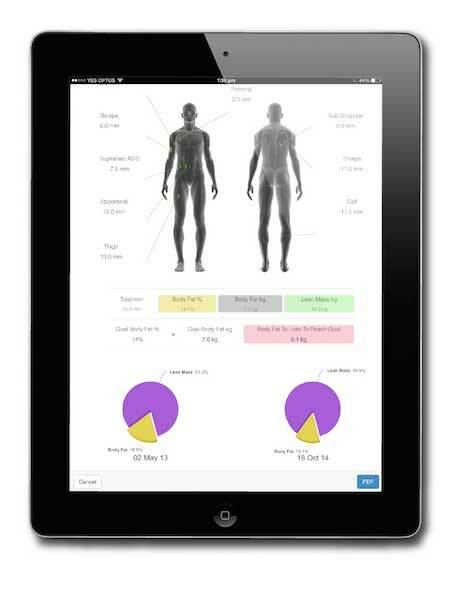 The Postural Screen feature is unique and interactive, it helps you not only identify postural imbalances and weakness, but also to determine a possible cause. “Prehabilitation”, avoid injuries by understanding your client's strengths, weakness and postural issues. 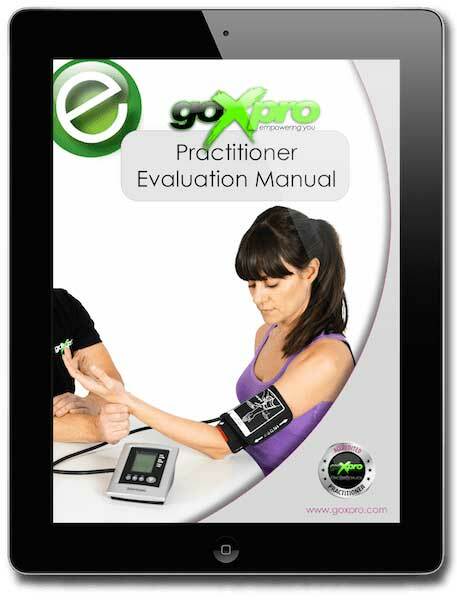 “Automatic exercise suggestions”, goXpro helps you build highly adapted programs based on evaluation results. "Networking", goXpro evaluations help you create working relationships with health professionals. Motivate your clients and set yourself apart as a true fitness professional! Stay ahead of the competition with goXpro. Gain powerful insights into your client’s strengths and weaknesses, muscle chain activation sequences, joint stability and postural imbalances. Professionally track and display client results. Design Smart Muscle Programs: Made to measure training plans based on posture. Your clients will love you for it ! Finding a Trigger Point is a vital skill in itself. It requires sensitivity and attention, but most importantly you need to know what you’re looking for. Thanks to our friends at LifeAfterPain, this feature will help you find myofascial trigger points in muscles. It's simple, easy to use, and contains 45 of the most common muscles to get triggers.